Learn all about me, and find out what gets me excited. 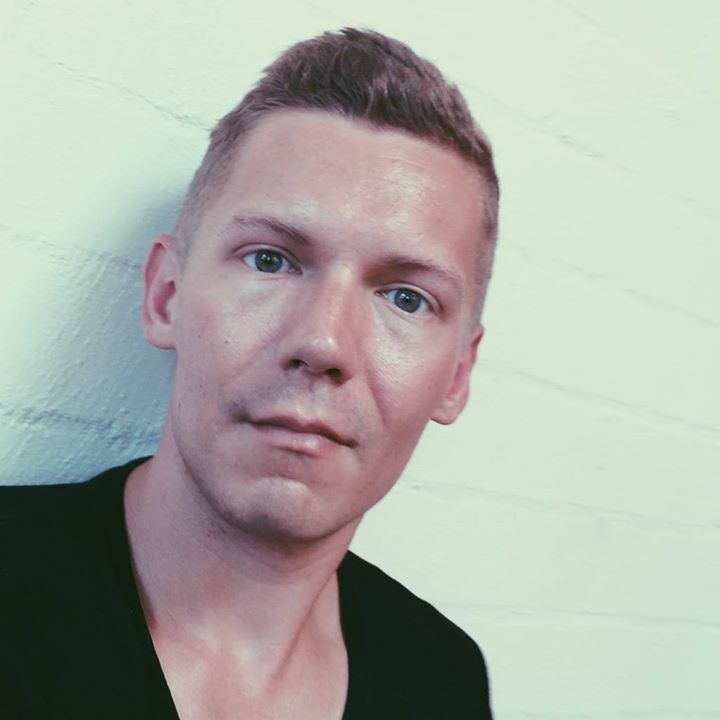 I'm Adam Kangas — an American guy currently residing in Melbourne, Australia. I grew up in Ann Arbor, Michigan, but moved to Los Angeles for college and never looked back. I enjoy a good cup of coffee, and telling jokes that make people groan. After five years of living in Los Angeles, I decided to quit my day job, get rid of most of my worldly possessions, and move to Australia. Yes, this was the right choice. 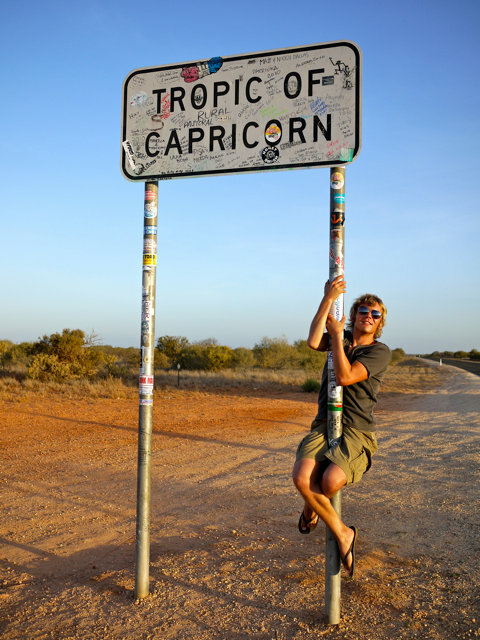 I blogged about my initial travels over at Kangas Down Under. After backpacking the entirety of Australia I settled in Melbourne, fell in love with it, and eventually submitted my application for Permanent Residency. PR was granted in June of 2012... and here I am! I once fainted inside of a Russian nuclear power plant. 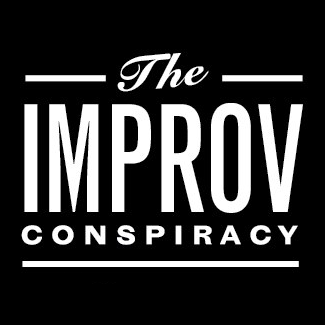 I am the founder and artistic director of The Improv Conspiracy, Australia's leading source of Chicago-style improvised comedy. Since founding The Conspiracy in 2012 I've taught over 150 people the art of improv, and sold out entire runs in the Melbourne International Comedy Festival and Perth's FRINGE WORLD Festival. I've been a "computer guy" for as long as I can remember. I have a B.S. in Computer Science from the best engineering school you've never heard of: Claremont, California's Harvey Mudd College. Mudd is always on popping up on various lists of America's most grueling colleges, and for good reason. After graduating, I spent around five years working as a Senior Software Engineer at Snap Technologies, Inc., learning the ins and outs of internet advertising. After a few hellish years of freelance PHP development I transitioned to Ruby on Rails and iOS projects. I'm much happier now. I'm also the technical co-founder of Caffeine-Free which makes interactive entertainment that everyone can enjoy. Improvising (far left) with "The Ladies Auxiliary", iO West, August 2009. 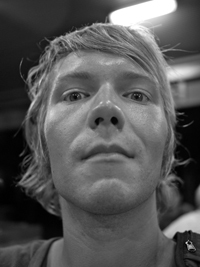 Photo by Kat Perry. Improvised comedy is one of my favorite things in the world. Whether I'm on stage performing with one of my teams, or in the audience watching the performers I admire most, it's always a wonderful experience. Most of my training took place in Los Angeles. I'm an alumnus of iO West and the Upright Citizens Brigade improv training centers. In Melbourne I've done some training with Impro Melbourne, and I now train and perform regularly with The Big Hoo-Haa Melbourne, The Baby Seals and The Improv Conspiracy. Whether I'm at home, in the car, or walking around, I love filling my day with music. My taste is eclectic, featuring classic rock as well as the latest indie darlings. I'm a big fan of the music news and reviews over at Pitchfork and Pretty Much Amazing. While they're certainly not infallible, if they recommend something, it's definitely worth a listen. And while I'm not the best guitar player in town, I sure do like to try. Valid XHTML. Layout aided by the 960 Grid System (Enable Grid). @font-face aided by Font Squirrel. Fonts: Museo, Museo Sans, League Gothic. © Adam Kangas. Be cool.